Drivers thinking of changing their road use and perhaps switching to cleaner and greener cars may find some answers at an upcoming transport show in Val d’Isère. With a prediction by a Stanford University economist that no petrol or diesel cars, buses, or lorries will be sold anywhere in the world within just eight years, the electric and hybrid vehicle show on July 13-16 is a place to find possible solutions. Around 100 brands are due to be represented at the show which comes as experts are coming to agree that the transport industry is set for a change as radical as that in photography from photo film to digital. All types of electric, hybrid and autonomous cars will be on show, along with e-bikes. All-terrain test tracks are a feature of the Salon du Véhicule Electrique et Hybride in the Savoie resort and, unique to the Val d’Isère show, drivers will be able to take vehicles for a test drive up the Col d’Iseran, which rises for 1,000m above the village. Most of the large manufacturers will be there showing their latest technology along with specialists in green energy and alternative transport. 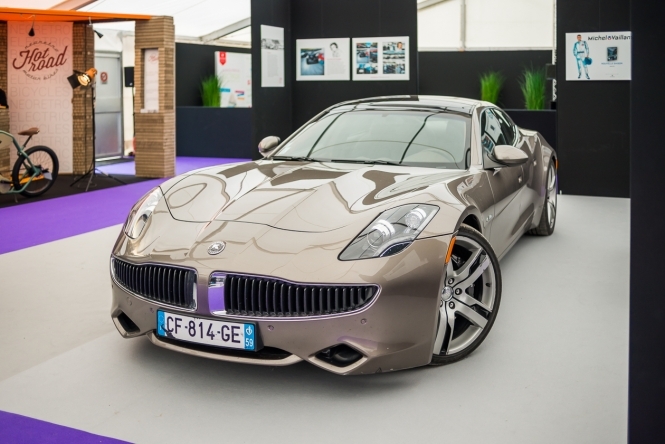 A special 1,616km road trip is also being organised for electric and hybrid vehicles, leaving Val d’Isère on July 14 to reach Turin, Cannes, Nîmes, Montauban, Biarritz and arriving in Bordeaux on July 20. It costs €2,750, or €3,500 for two people (check the website for what is included). Organised to calm fears of range anxiety by tour specialist Bloowheels, the E-Motion Tour also has BMW i8 and Tesla Model S or X cars available to rent.